Happy Thanksgiving! This year for thanksgiving we went over to a friends house for dinner. My contribution was something sweet (duh!). I made two different desserts and they both turned out delicious!! 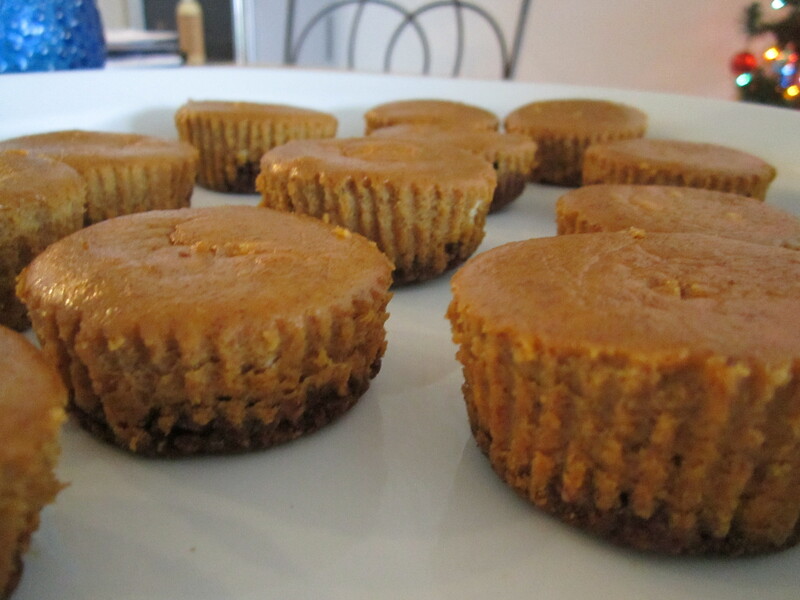 First, I made these incredible mini pumpkin cheesecakes. I got the recipe from this new blog I discovered. This recipe is so so full of flavor. For those of you who don’t truly LOVE pumpkin, you’re not going to be a fan of these. This recipe really brought out the spices in pumpkin. They were a huge hit and fairly easy to make! 1. Preheat oven to 325 degrees. Line a muffin pan with paper liners. This recipe made exactly 12 mini cheesecakes! 2. 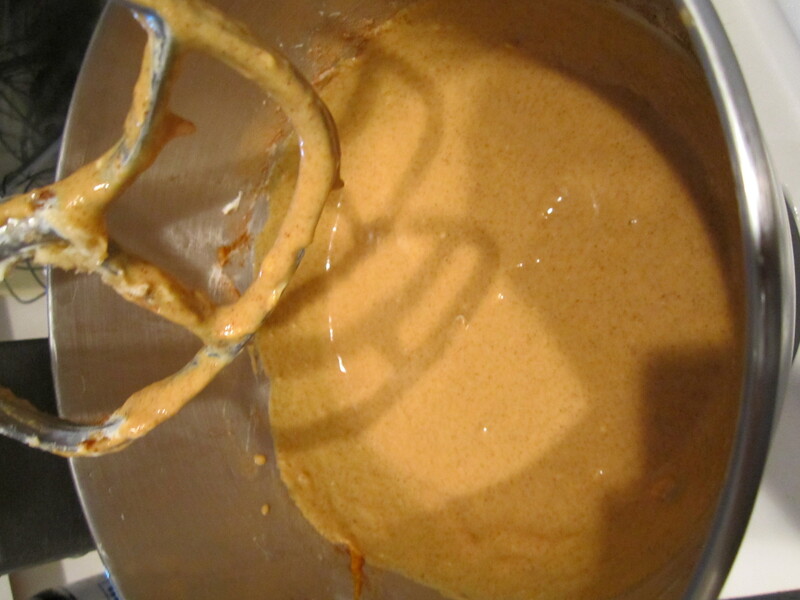 Mix together all ingredients for cookie crust. 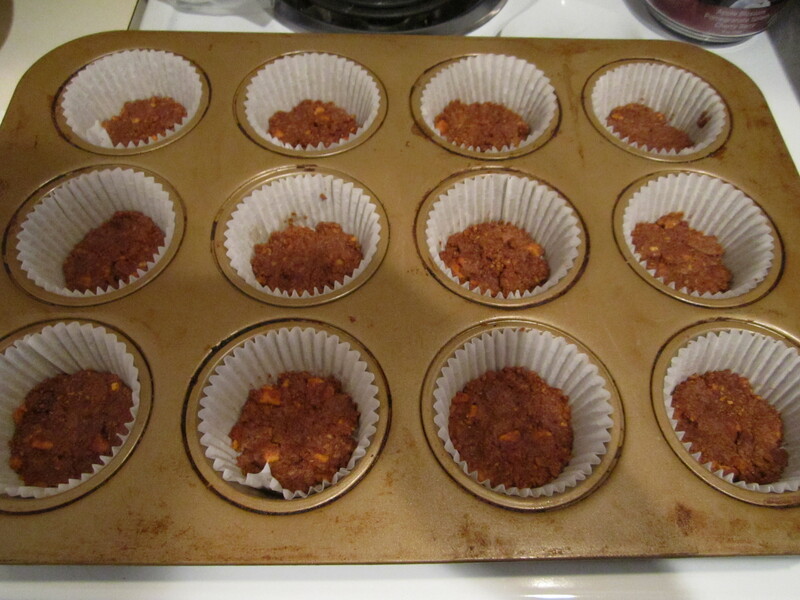 Press about a tablespoon of the mixture into each paper filled muffin cup. Bake the crust for 8-10 minutes. Let cool while you prepare the filling. Lower the oven temperature to 300. 3. Cream the cream cheese and sugar together. Add in one egg at a time, waiting until each egg is fully incorporated. Add in vanilla and beat. Then add in the pumpkin and the spices. 4. Fill each muffin tin until all the batter is used. Bake for 25-30 minutes on 300 degrees. Remove from oven and allow to cool. Then chill in the ridge for a few hours before serving.